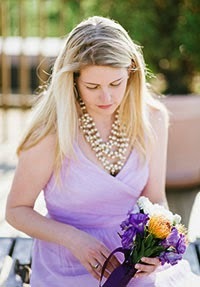 I stumbled upon this first image on Better Homes and Garden's website the other day I was instantly intrigued. 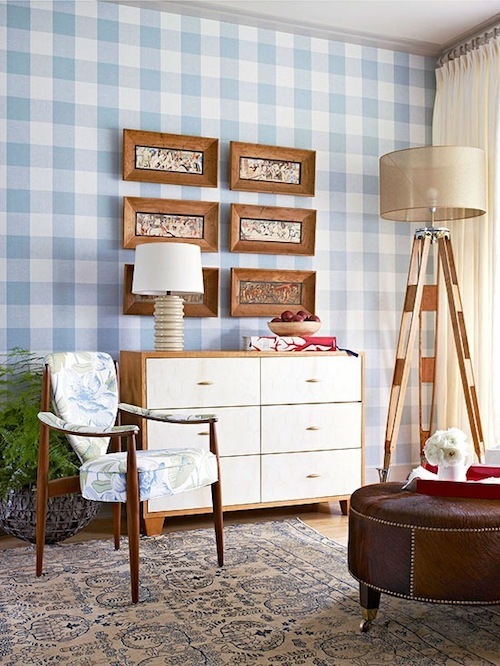 I've long been a fan of gingham, buffalo check and really anything plaid, we'll just chalk that up to my Scottish heritage, but I'd never considered using it as a wall treatment. I love that it can read as both whimsical and classic all at once and blends seamlessly into styles from mid-century to traditional. I'm especially loving it paired with all woods tones and white accents. 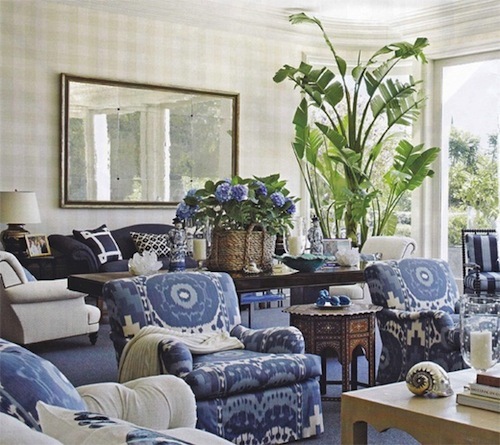 I love this formal, beach house living room for many more reasons but notice the subtle texture that the cream toned check lends the walls? Gorgeous. 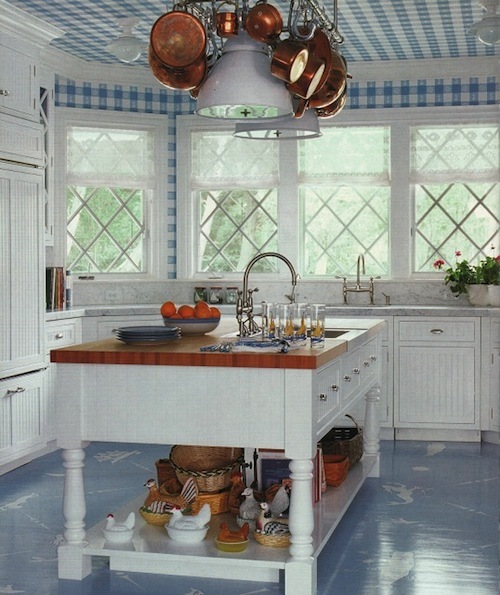 And this country kitchen gets a does of color and pattern by using the blue and white check wallpaper around the window casings and the ceiling. A perfect foil to the painted blue floors.